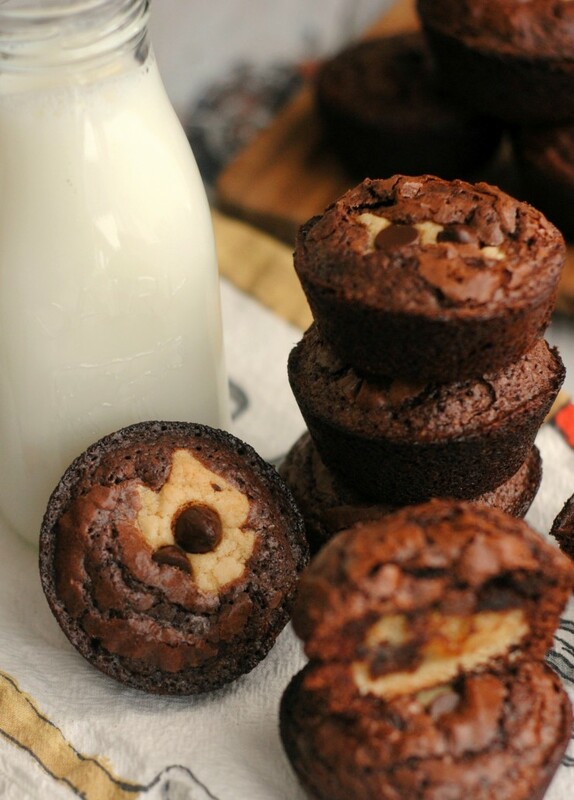 Chocolate Chip Cookie Brownie Cups - Frugal Mom Eh! 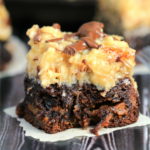 These Chocolate Chip Cookie Brownie Cups combine the best of two dessert recipe classics to create one unforgettable dessert. 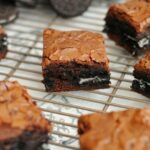 Combine brownie mix ingredients and set aside. #2. 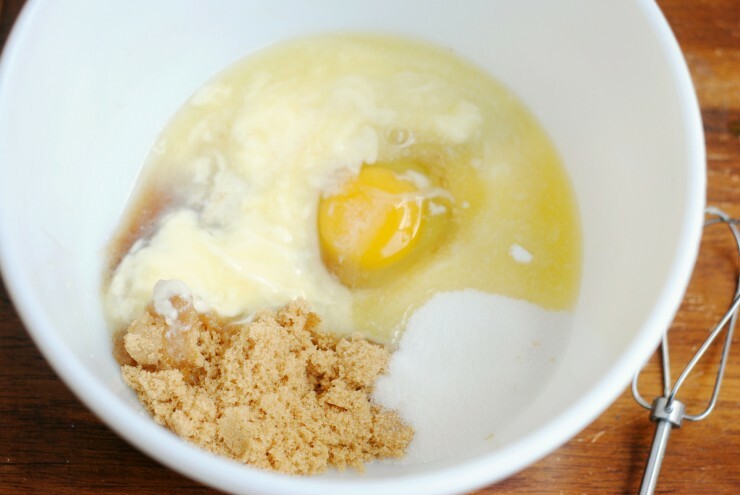 Combine the softened butter, brown sugar, sugar, 2 eggs and vanilla, mixing well. #3. 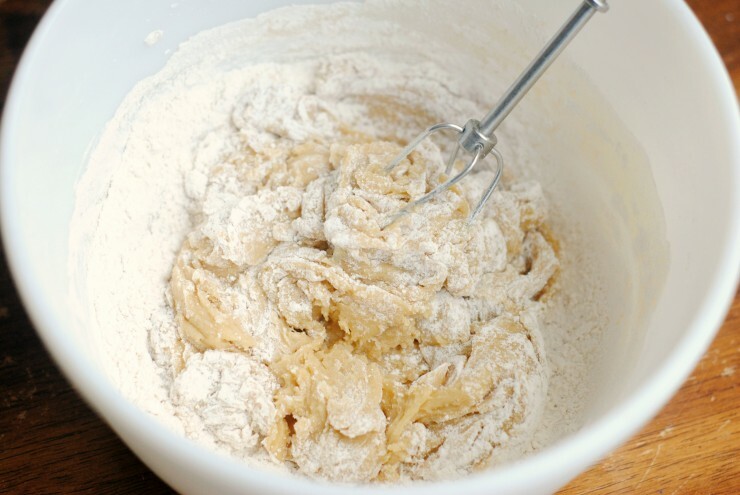 Slowly add in the flour, corn starch and salt. #4. 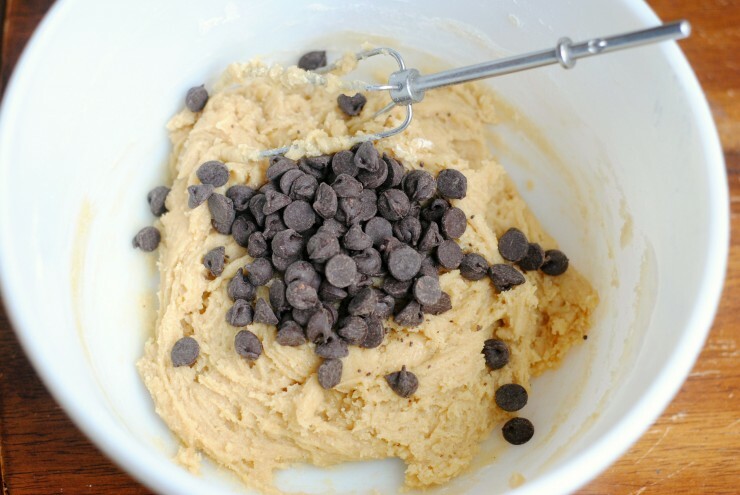 Add in the chocolate chips, mixing into the cookie dough. #5. Place the cookie dough in the fridge for 15-20 minutes to set. #6. Grab the brownie batter you had set aside and scoop about 1 cm into the bottom of each muffin well (not quite 1/4 full). Repeat with all the muffin wells. #7. 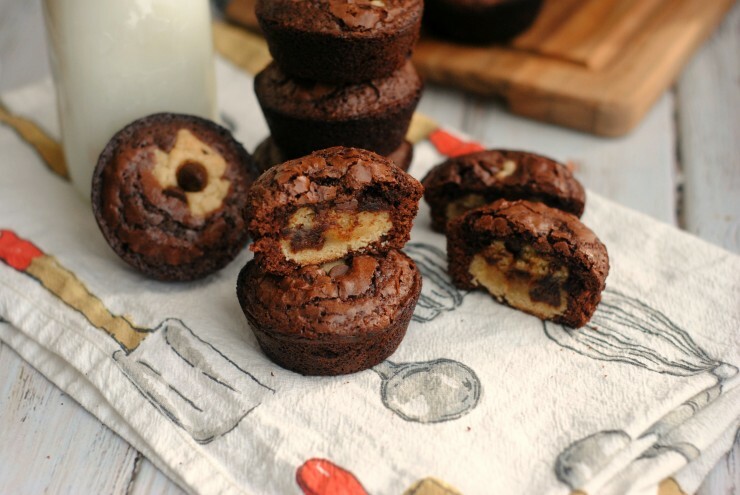 Take the cookie dough and roll into 1″ balls – place 1 cookie dough ball into each muffin well on top of the brownie batter and repeat this process for all the muffin wells. #8. Gently pour the remaining brownie batter into the muffin wells filling each well about 3/4 of the way. #9. Bake 25-30 minutes, until cooked through. Your cookie dough may be soft but I tend to prefer chewy, soft cookie dough. Keep an eye on the edges of your brownies so they do not burn. *Notes – I had just enough brownie batter for 24 cups, however i did have some cookie dough leftover so I made the rest as cookies baking 8-10 minutes at 350 degrees Fahrenheit. #7. 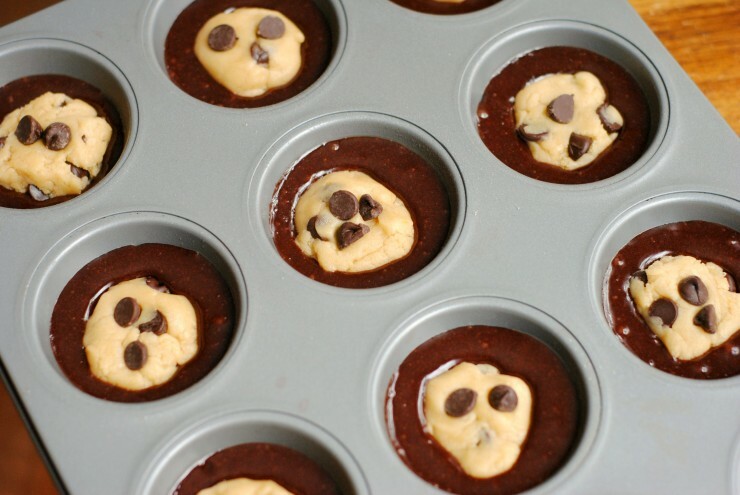 Take the cookie dough and roll into 1" balls - place 1 cookie dough ball into each muffin well on top of the brownie batter and repeat this process for all the muffin wells. *Notes - I had just enough brownie batter for 24 cups, however i did have some cookie dough leftover so I made the rest as cookies baking 8-10 minutes on 350 degrees. 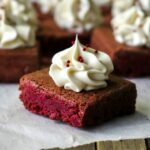 we made brownies last night, but nothing even close to this little gem! Thanks for sharing your recipe they look delicious ! These look really good. 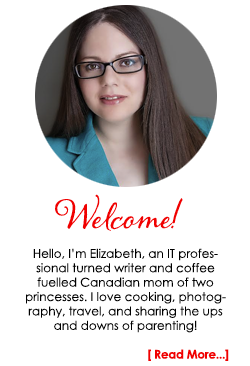 I have pinned it to try, thanks for sharing! 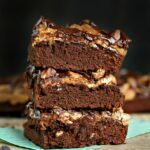 Hi Elizabeth,we made 1/2 batch of these last night and they are sinful……sinfully delicious that is,they never lasted to cool.Thanks so much for the recipe now a favorite of ours for sure. Oooh! I can imagine these would not last long! 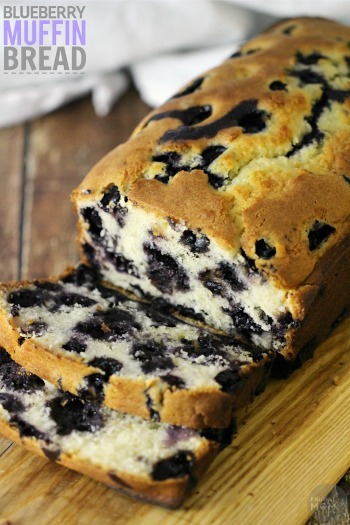 I love the idea to combine two desserts into one! 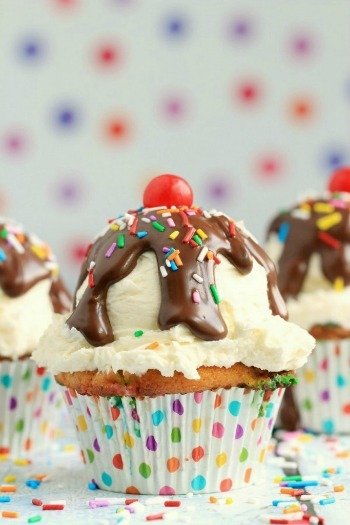 These look really good, think I will make these for my granddaughter!! 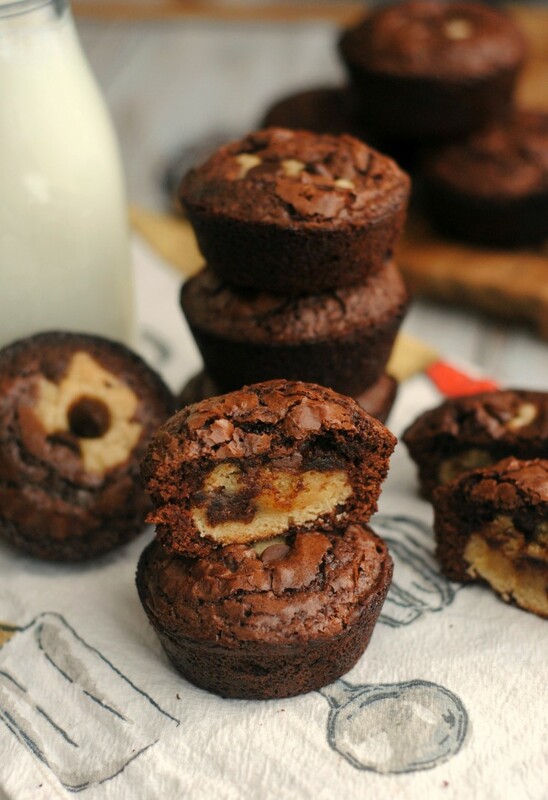 These CHOCOLATE CHIP COOKIE BROWNIE CUPS look so very good. 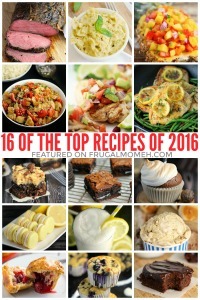 The recipe looks delicious! I was wondering what the corn starch is for in the cookies? 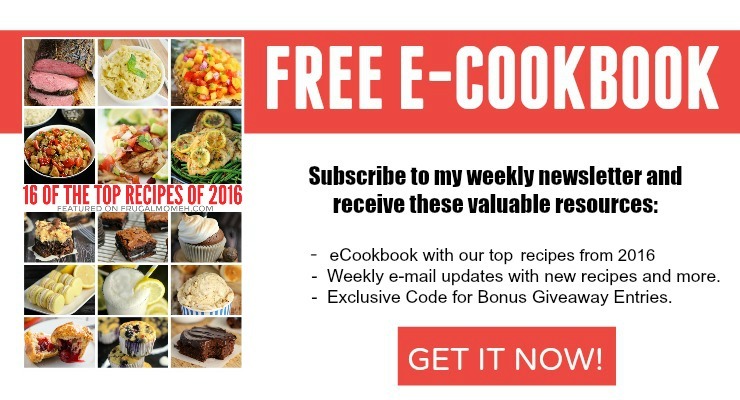 Does it serve a purpose or can I use any regular chocolate chip cookie recipe? I think you could definitely use any regular chocolate chip cookie recipe.